I'm sure wild mech hunter will love it. As for standard - I don't see the win-condition for mech hunter. For me Oblivitron doesn't make any sense - there aren't any big mechs/big mechs with deathrattle, *that can grant you the win*. It's not bad. But I'm not sure it makes me want to play mechs instead of beasts. It's a card draw. This makes as a great support card for Mech Hunter. Hey, at least it rhymes. Well this makes Nine Lives less situational now, but still kinda slow. This competes with Animal Companion + Houndmaster/Dire Frenzy and I don't know if it's good enough. With Cubes, Keleseth, and Rexxar rotating out, I don't know if Deathrattle Hunter will find a spot in the meta. Really good with Galvanizer and Fireworks Tech. Maybe a tempo-ish Mech Hunter will be viable? So? This doesn't justify running Oblivitron and a handful of mechs in standard. The legendary needs to interact with somehting big, something, which will win hunters the game. I don't see anything in this regard. 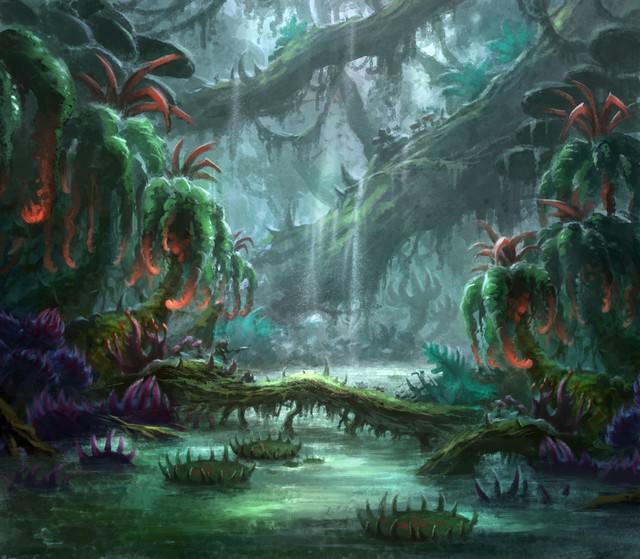 In wild I'm sure that the 3/4 will be ran in N'zoth hunter decks (e.g. Dane's Reno). As for standard - I don't see the win-condition for mech hunter. 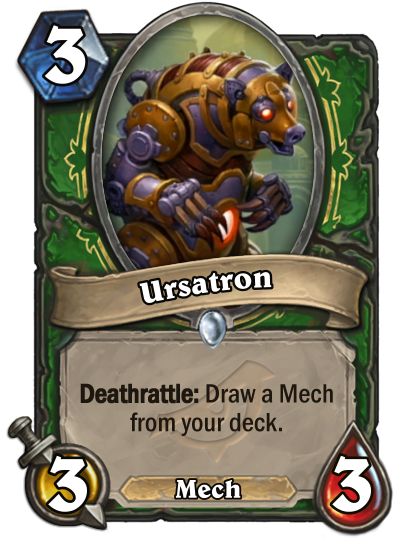 For me Oblivitron doesn't make any sense - there aren't any big mechs/big mechs with deathrattle. Well there's the safe mech now as well, that's decent kind of, you probably run 2 safes, 2 whelps and the legendary.. you run this as well to fetch them,I mean you can activate this aswell it's not explosive as the whelp but it's something.. also the firework tech feels less situational and you are probably running magnetic with it? If bear hugs wouldn't have enough bad reputation. They knew EXACTLY what they were doing with this name to get a laugh from Magic the Gathering players. Honestly can't believe they did it. This card is standalone very good and definitely enables Oblivitron and nine lives mech deck. Spider bomb + ursatron + mechanical whelp, perfect set of cards to combo with Oblivitron and Nine lives, they all have big immediate impact.